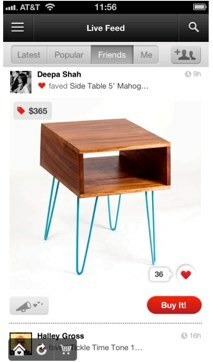 Design-focused e-commerce site Fab is constantly iterating and innovating. The company, which just hit 7 million users, unlocked the site from signing-in, expanded internationally, launched a major site redesign and raised over $100 million more in funding. All of that happened in the past six months. To add to this list, Fab is debuting brand new, completely redesigned iPhone and iPad apps today, with social features, new navigation, search and more. You can download the apps here. For background, Fab’s mobile apps launched on October 15, 2011. 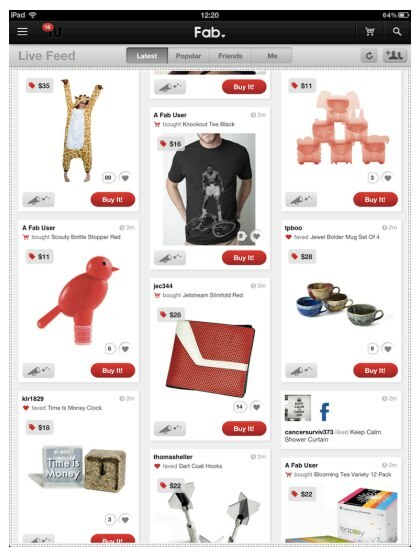 Note the company’s mobile apps contribute 33% of Fab’s daily visits and 33% of Fab’s daily sales. But CEO and co-founder Jason Goldberg envisions a time soon where mobile us 50% of Fab’s revenue. This redesign, which took six months of development and design, aimed to re-imagine the Fab experience from the ground-up as if it was designed entirely with the mobile shopper in mind, explains Goldberg. Fab took into account the touchscreen to make sure the experience was complementary for both iPhone and iPad users. 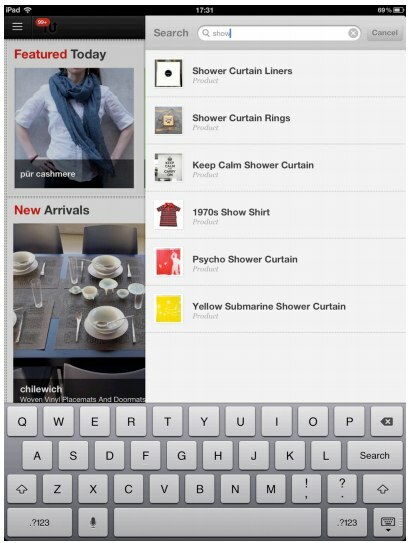 The iPad app has been completely redesigned to give users a more touch-friendly, leanback experience for browsing. The company also added social feeds to allow users to see what’s most popular right now on the site in terms of purchases, the latest arrivals, what friends are buying and sharing, and more. Navigation has also been redesigned for a more seamless browsing experience, and you can search by a number of categories, including type of product, color and price. You can also search for the site’s 10,000 products. As Goldberg tells me, the entire app was reimagined for just iPad users. In terms of the iPhone app, the app was designed for a smaller form factor, and has been optimized for the iPhone 5. Navigation has been updated, and Fab added the social features that are seen on the new iPad app. 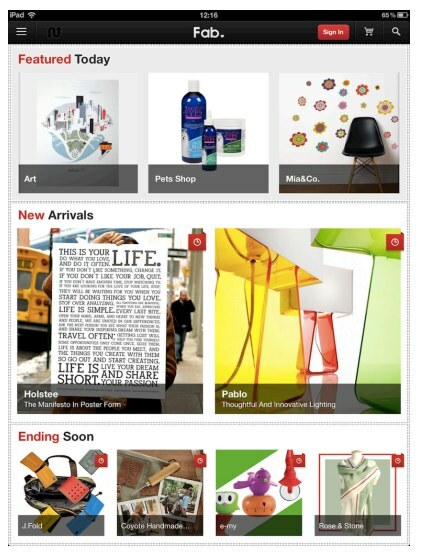 Fab apps are also now available to Fab shoppers in 24 countries across Europe, in English and German language. We’re told that a similar Android redesign will be released in the next few weeks. Clearly, mobile is becoming a significant portion of Fab’s traffic–updates like this could only help boost sales on mobile apps, especially as the holiday shopping season approaches.